It is hard to imagine the acoustic bass guitar is only around 50 years old. This instrument has its roots in Mexico. Mariachi bands still use the guitarron. This is a large bodied version of the guitar. 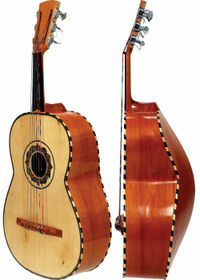 The back of a guitarron or chitarrone is slightly angled, the neck is very short and the sides are quite deep compared to a guitar. In the early 1960 an inventive fellow by the name of Ernie Ball owned a music store in Tarzana, California. Ball had already distinguished himself as an excellent steel guitar player. Here was a guy that lived and breathed guitars. When approached by sales representatives of companies that manufactured drums, he would tell them he was not interested in their merchandise. His store only sold guitars and guitar related products. What made Ernie’s store unique were the sets of strings he sold. 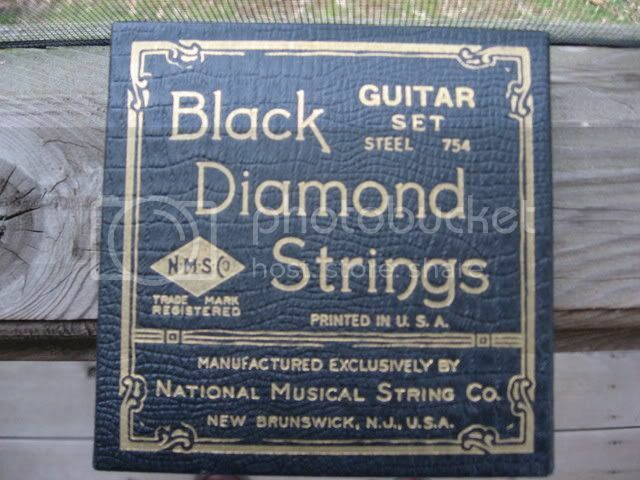 I’m old enough to recall the usual set of guitar strings you could by were made by Gibson, Fender or Black Diamond. By today’s standards these strings would be considered Extra-Heavy and always contained a 29 gauge third/ G string. In those days many professional players would discard the bottom/sixth/E string and buy a single banjo string to use for the first string. The result was a much lighter set of strings. The third string was now an unwound plain string which could be easily bent. The guitar was much easier to play. Ball asked Fender to produce a set of guitar strings that were lighter and featured a plain G string. They refused. Gibson also rebuffed Mr. Ball’s request. So Ernie went to a string manufacturer and asked them to package strings with a 24 gauge third string, which they did. He sold them using his own name on the package and called the Ernie Ball Slinky Strings. They were an instant hit. This was the beginning of Ernie Ball strings which remain a very popular brand. Soon famous musicians from all around California were coming into his store to buy his strings. Ball also bought and sold single strings so that musicians could experiment with their individual preferences. Ball then got the idea to make some new stringed instruments. 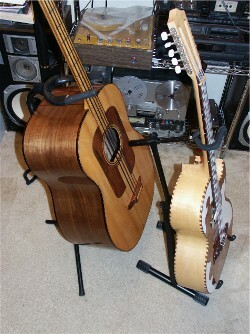 One was a mandolin and the other was an acoustic bass guitar. He had bought a guitarron in Tijuana to see how it was made. He then collaborated with former Fender employee and designer, George Fullerton, to develop an acoustic bass guitar. The Earthwood, as it was dubbed, was introduced in 1972. Unfortunately sales of the Earthwood acoustic bass were slim and production was halted in 1974. Dan Norton, who worked for Ernie Ball Inc. thought the guitar to be a worthwhile instrument and a few years later he convinced Ball to resume manufacture of the bass. Norton was put in charge of production. The effort ended in 1985. That is when the company concentrated it’s efforts on manufacturing, producing, packaging and selling guitar and bass guitar strings and their new line of Music Man guitars. Here is a short history of how the Ernie Ball Company acquired Music Man. In 1971 Leo Fender, Forrest White and Tom Walker started a company called Music Man. The story of Music Man is something I'll save for a later date. However, due to declining sales and the declining health of the partners, Music Man was sold to the Ernie Ball Company in 1984 and Ball went into business making electric guitars and related products. The Earthwood’s body was much larger and deeper than an acoustic guitar (24 1/2" long, 18 1/4" wide, and 6 5/8" deep). Of course the neck was longer as well to accomidate the usual 34” normal bass guitar length. I have not been able to track down the wood used for the guitar. It appears to have a spruce top with a satin finish. The back and sides on all Earthwoods that I have seen are of a light colored wood. It’s size gave it a very deep sustaining sound. The Earthwood acoustic bass was an idea before it’s time. Sales were never that great in the 1970’s and 80’s. It wasn’t until the mid 1990’s due in part to MTV’s Unplugged series of programs there was a renewed interest in acoustic music. Most bass players found it easier to adapt to a guitar-like instrument that had frets or at least fret markers than to learn how to play the rather bulky string bass. 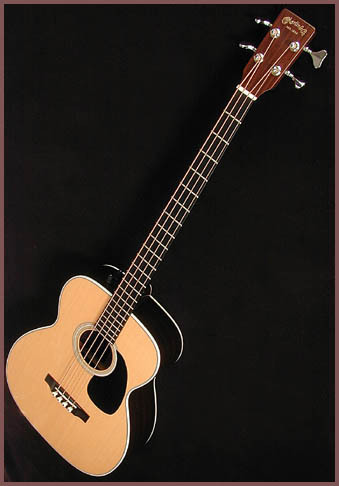 At this time many manufacturers, especially Asian companies, saw the need and began to produce acoustic bass guitars. Even Martin still produces and acoustic bass; as do many other guitar manufacturers. And though there are currently many alternatives, the Earthwood acoustic bass is highly prized by collectors and bass players alike. It is an excellent sounding and very playable instrument. 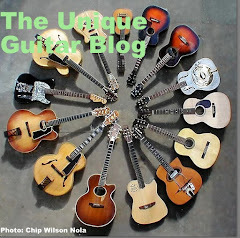 The same cannot be said for many of the cheaper modern acoustic bass guitars. Most modern instruments need a piezo electric pickup to be heard. Earthwood basses all had maple necks, spruce soundboards and walnut backs and sides. Some had rosewood fingerboards and others had maple. There were several body sizes and bridge designs over the years. I am not real clear on what changed when. If someone has an original Ernie Ball bass, I'm looking for one. I have an original Ernie Ball acoustic made out of rosewood and have never seen one like it. Would really like to have an acoustic bass specially if it's made out of walnut. send me an email randall.muir@charter.net if you have one. The problem w/ Earthwood basses was they were so wide the circulation to your right hand was cut off,and you couldn't hear it yourself. 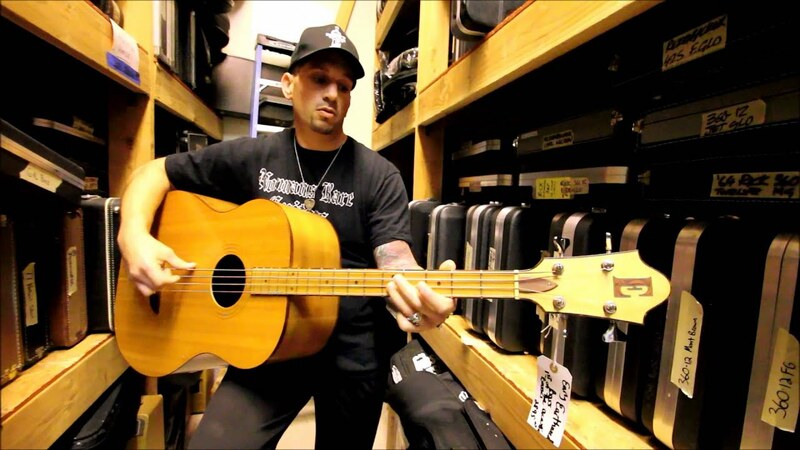 Unlike 99% of the later acoustic bass guitars it was actually loud enough to play acoustically w/ other instruments. Ball should have thought more about the way Guitarrons are designed0 the angled back allows the player to have a funtional right hand position,and to hear. Around 10 years ago a friend of a friend was selling his '70s Earthwood but the top of the bass had dished, a couple of cracks in the soundboard and some other cosmetic flaws with the bass. I tried it out and it sounded really good. I never felt a guitar vibrate like an Earthwood! He wanted $300.00 for it and I passed on it. I now know I should've purchased that bass even with some issues it had. Earthwoods go for more than 5 grand now. I sure would love to own an Earthwood, but not for 5 grand!